There are no plans to hold a board meeting on Thursday to discuss the future of Scotland manager Alex McLeish, according to the Scottish FA. 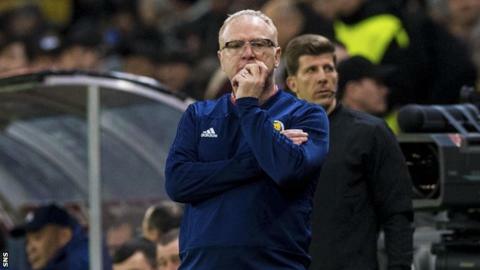 It follows newspaper reports suggesting McLeish will be sacked in the next 24 hours after a disappointing start to the Euro 2020 qualifying campaign. He has been under pressure since last week's defeat by Kazakhstan and an unimpressive win over San Marino. McLeish has overseen five wins from 12 games in his second spell in charge. Despite being under scrutiny from early in his reign, he guided Scotland to a Nations League play-off place by finishing ahead of Israel and Albania. 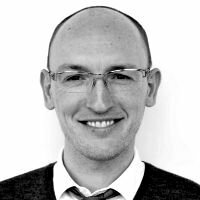 Scotland started Euro 2020 qualifying last week by losing 3-0 to a Kazakhstan side ranked 117th in the world. On Sunday in San Marino, the Tartan Army made their feelings known by booing when an image of McLeish appeared on the big screen and later chanting against the Scottish FA. One of McLeish's predecessors, Craig Levein, said the criticism after the opening two qualifiers is "nonsense" and makes him thankful he is no longer in the role. Hearts boss Levein was Scotland manager for three years from 2009, before being sacked after failing to reach Euro 2012 and a disappointing start to the World Cup 2014 qualification campaign. "It just makes me think 'thank God I'm not doing that any more'. It's nonsense, the whole thing," Levein said. "We are a play-off away from qualifying through the Nations League. I think everyone has to calm down a little bit. It seems that everybody is in such a hurry to hand out stick. And it doesn't help the manager and it doesn't help the players. "There are deeper lying issues and I think we need to take just a step back and have a little bit of patience. I know we are not going to but we don't have any choice." The mood music around McLeish's future appears to be that of change - the numbers on the Scottish FA board who feel that way have been steadily growing. A conversation between manager and chief executive took place on Wednesday night and, although no decision was made about McLeish's future, it looks like one will be made sooner rather than later. A board gathering would have to take place for a sacking to be sanctioned and, as it stands, there's nothing in the diary. Movement next week though, is likely.